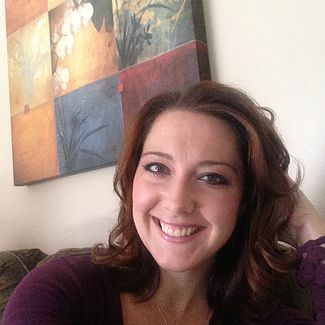 My name is Melissa (MO) and I have a love of all things Needlework! I've always preferred keeping my hands busy. At a young age I taught myself how to cross stitch and always have pretty much always been drawn to all "crafty" things. I have also dabbled in crochet, knitting, Spider Weaving (not sure the correct term), rug hooking, and Punch Needle, but my passion is for quilting! There is nothing I love more than trying new things and learning new skills! I don't think there has ever been a craft involving a needle that I did not like! The focus of my store is Quilting, however I also have a large section dedicated to Counted Cross Stitch, Needlework and Punchneedle Supplies. After getting married, my husband and I were stationed in Wichita, KS with the United States Air Force. Being so far from home and not really knowing what to do, I started looking for a job. I made a friend who's mom just happened to own a cross stitch store called Heart's Desire, and she was kind enough to give me a job. BEST JOB EVER! After the first day, I knew I wanted to own my own Shop! I've always been a crafty person, and have always loved cross stitch, but had NO idea that there were actual stores that specialized in it! It was like Christmas when I discovered the different options for over-dyed fabrics and floss! So many options that I never knew existed! The only items that I was ever exposed to were the kits (mostly stamped) that you could find at Ben Franklin. That's right, Ben Franklin...I'm from a very small town! Working at Heart's Desire was like a dream. It never felt like work and I looked forward to going to work every single day! Not only did I fall in love with everything Cross Stitch, but I feel in love with helping customers! There is something so special about helping someone find that special colored fabric, or helping them switch out those floss colors to make their piece special and unique to them. When my husband and I transferred back to Michigan, I left a little piece of my heart back in Kansas. I still keep in contact with my Heart's Desire family and have appreciated all of their support on my new journey. I needed my craft fix and since there were no Needlework shops near me in Grand Ledge, MI, I decided to take my first official beginning quilt class (I had previous taught myself-or thought I did, HA!). Oh boy, this opened up a whole new passion for me! Since there are no stores close enough for me to work at, I began teaching Zumba. This took off very quickly for me and I actually ended up opening my own fitness studio called MO's Sweat Shop in Grand Ledge, MI. Although I was passionate about my studio, I had ulterior motives from day one. My soul purpose for opening the studio was to be able to afford to eventually open my own Cross Stitch/Quilt Shop! After 2 years of owning the fitness studio an opportunity came up for me to move my studio into a larger space, allowing me to run both the fitness studio and a Needlework Shop! I thought..."This is my chance!" I began remodeling the new building and juggled running the Cross Stitch Shop during the day and the fitness studio at night! I thought this was my big break! Little did I know, my world was about to be rocked! Shortly after I hit my one year mark of owning MO's Needle & Thread (my Needlework shop), I was offered the chance of a lifetime! I was approached by the owners of Around the Block Quilt Shop in Portland, MI and asked to take over their shop! Literally, my ultimate dream come true! My head was spinning! I had to pinch myself daily to make sure this was really happening. I was so overwhelmed with emotion that I almost declined. I let my own fears and anxiety almost talk myself out of accepting the offer. My husband, who knew this was my dream, gave me the confidence to say yes. I will forever be grateful to him for not letting me run from the dream that I had been chasing for 15 years! Now it is 2018. I have sold the fitness studio and combined my Needlework Shop with the Quilt Shop. 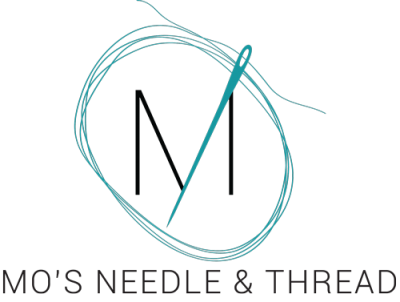 I am already on my 2nd year of owning MO's Needle & Thread (formerly Around the Block Quilt Shop) and I could not be happier. The shop is thriving! The customers have accepted me with open arms and I sometimes still have to pinch myself to make sure this is still real! I'm living proof that if you work hard enough, your dreams will come true!